LG has unveiled its latest home cinema laptop range, the Widebook. 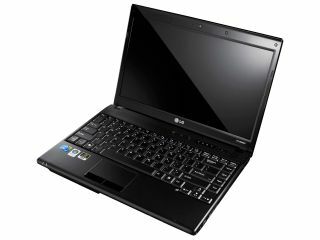 Offering widescreen movie playback, the laptop has been designed to cater for your home entertainment needs. Essentially this means that the laptop has enough power to playback HD content, including games. At the heart of the laptop is an Intel Core 2 Duo processor with 2GB or 4GB of 'turbo memory' (RAM to you and me), and depending on which model you go for, the screen-size is 13.3-inch (R380), 14-inch (R480/R460) and 15.6-inch (R580/R560). Graphics-wise, the Widebook packs in a NVIDIA GeForce graphics chip with up to 1GB of DDR2 video memory, which LG claims is enough for 3D gaming, if you are that way inclined. As the screens are LED-backlit (which means they are super bright) the laptops save on power too, up to 15 to 20 per cent less than ordinary notebooks. Although pricing is still to be confirmed, the Widebook has a release date of late September and will be available in a number of colours including 'shiny' white and 'crystal' black. Oh, and pink for the ladies. Because girls obviously can't buy gadgets unless they are pink. Go to www.uk.lg.com for more details.